Shoko understood from a very young age that her best hope for the future was to make a good marriage. World War II brought lots of opportunity on that front, and she married an American soldier and left Japan. 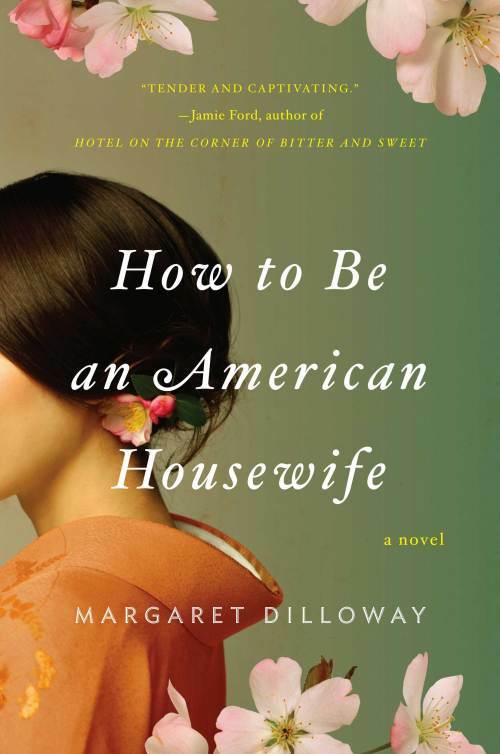 Trying her best to assimilate, she heeded advice on American cooking, housekeeping, marriage and customs from a book called How to Be an American Housewife. But her break with Japan wasn't a clean one, and years later when her health has failed, Shoko wants more than anything to make amends with her brother Taro. She isn't well enough to make the trip to Japan, so convinces her daughter Sue - Suiko - to go in her place. There Sue learns long-held secrets about her mother and finally begins to understand her more than she has from a lifetime of being her daughter. After Shoko came to the US she had many difficulties fitting into her community and forming friendships with Americans, no matter how hard she tried. The cultural differences with which she struggled were embodied even in her relationship with her daugter. Sue is a completely different kind of woman, born and raised American in every way, but not necessarily better at it than her mother. She too has struggled at being a housewife, finding herself divorced with a child. Neither woman understands the other though, of course, they are more alike than they realize. The fictional book excerpts ranged from the helpful to the hilarious. My favorite was the passage explaining the personality characteristics of men with certain blood types and urging women to check the dog tags of military men to find out if their type is compatible before getting involved. But many passages were also nice illustrations of the clash of cultures with which Shoko struggled, and I really liked their inclusion in the story. Despite the heavier focus on Shoko, including her bittersweet early relationships and complex marriage to Charlie with only brief attention to Sue's marriage, both characters were compelling and both struggled with the same challenges in finding happiness. Dilloway deftly wove the past and present together into a lovely exploration of a mother daughter relationship that was a pleasure to read. This is such a promising debut that I'm really looking forward to her new novel, out in August. Check out the gorgeous cover!